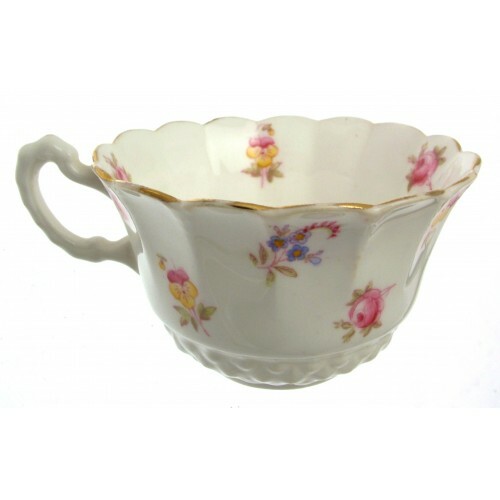 A very styish moulded cup and saucer with scalloped rim and dainty floral pattern. 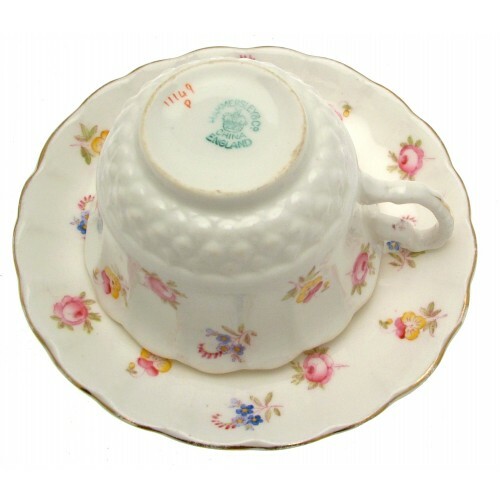 Backstamp dates this cup and saucer to between the years c1912 and c1939. 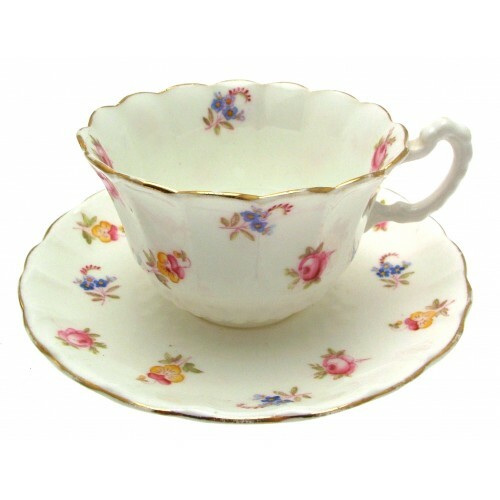 Approximate date going on the design would be c1920s. 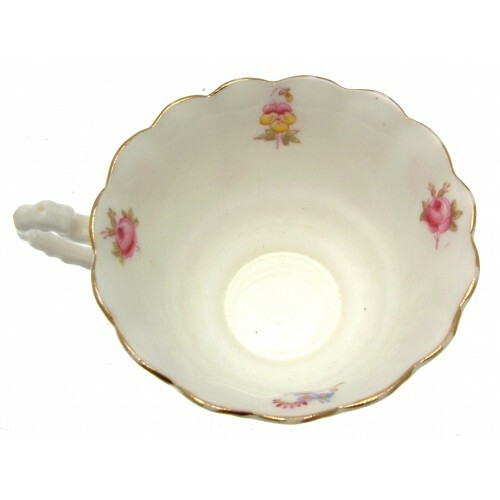 Cup measures 9 cms in diameter and 5.5 cms in height. 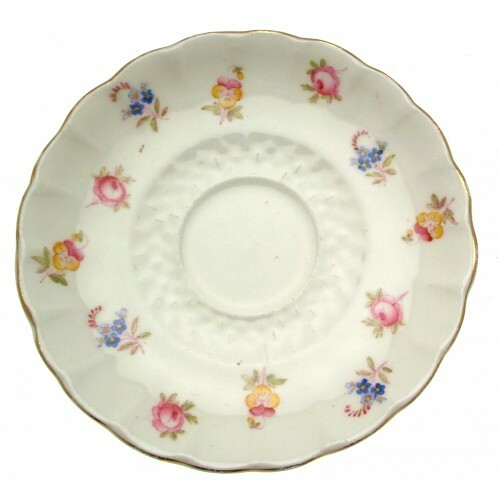 Saucer measures 13.5 cms. 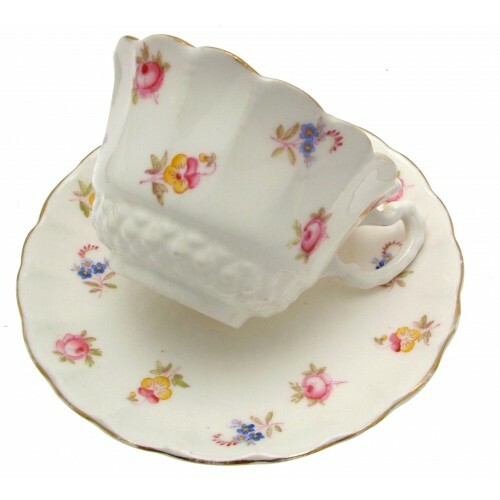 Although previously owned, this charming cup and saucer is in good condition. Previously owned but in good condition.Dimensions: 7.25.. Previously owned but in good condition.Dimensions: 6..